A great way to scare all the little ghosts and goblins knocking on your door this Halloween! Googly eye wreaths are a favorite door décor for kids of all ages. Just wrap a black feather boa around a Styrofoam base and decorate with creepy ping pong ball eyes. There you have it – a great way to celebrate the holiday and welcome your guest with a little scare. 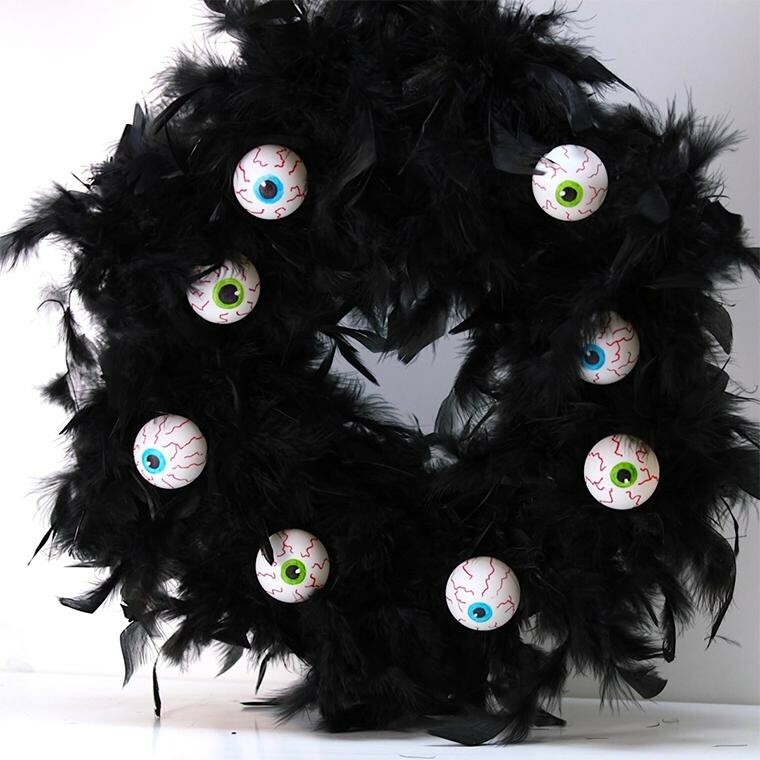 All eyes will be upon you this Halloween season with this awesome eyeball wreath hanging from your wall or door. 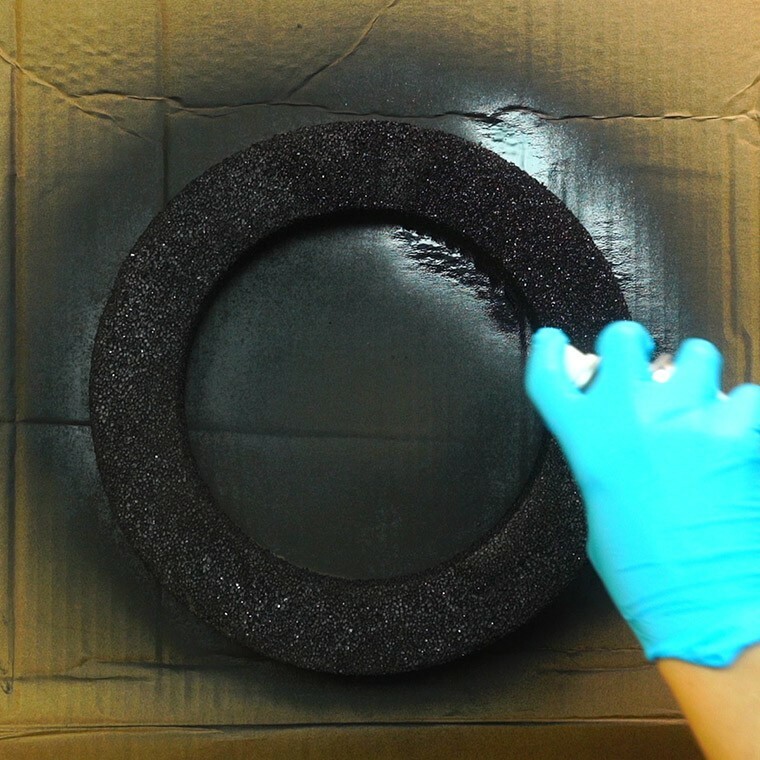 First, paint the wreath form with black spray paint and set aside to dry. Don't worry about an even paint job as most of the form will be camouflaged by the feather boa. Next, wrap the black feather boa loosely around the wreath, completely covering it. 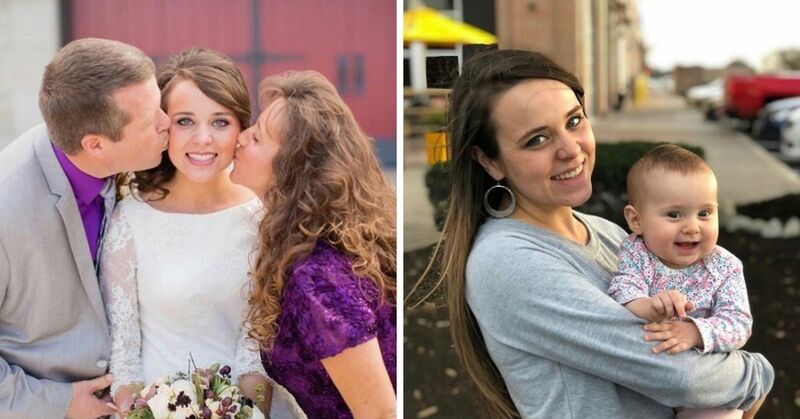 Attach with floral pins as needed to hold it in place. 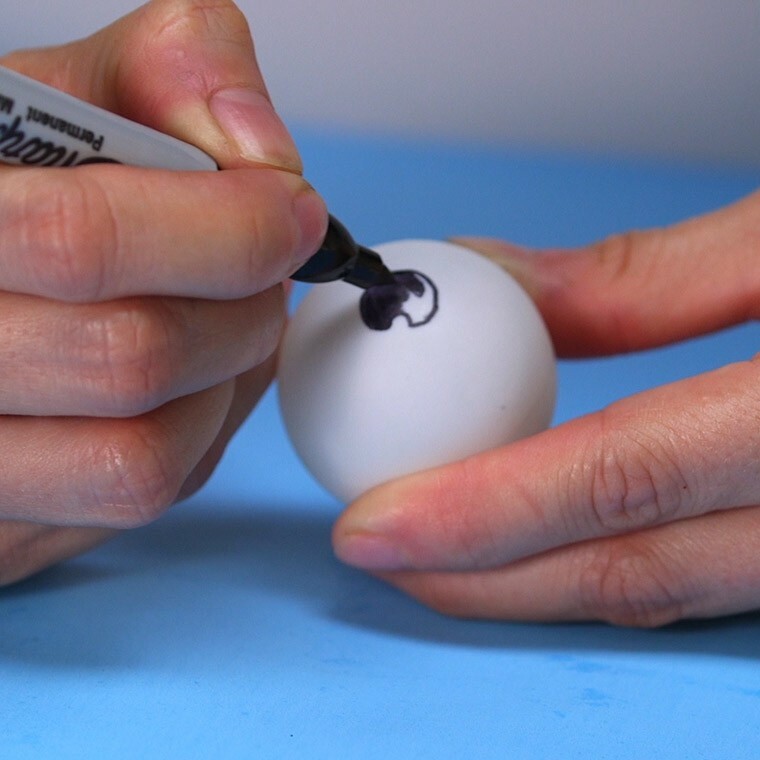 Use a permanent marker to draw a circle with a little notch taken out of it in the middle of a Ping-Pong ball. 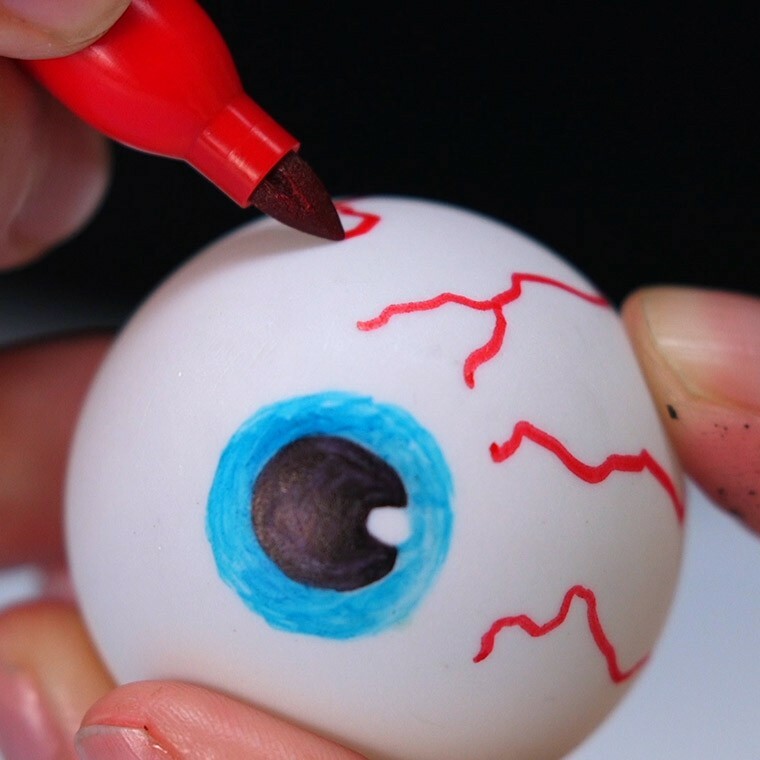 Color the shape black to make the pupil of the eye. 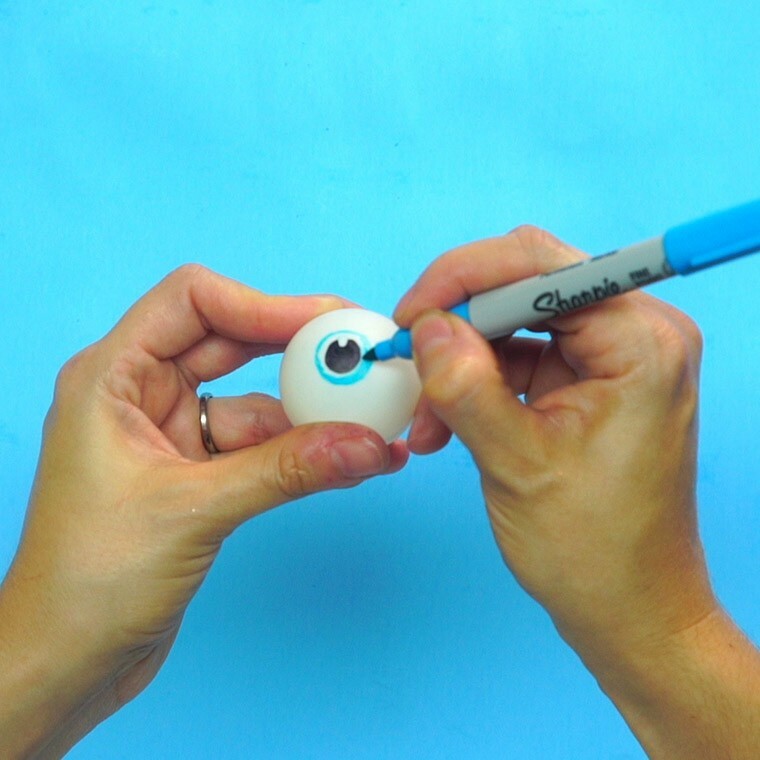 Choose an eye color to make the iris. 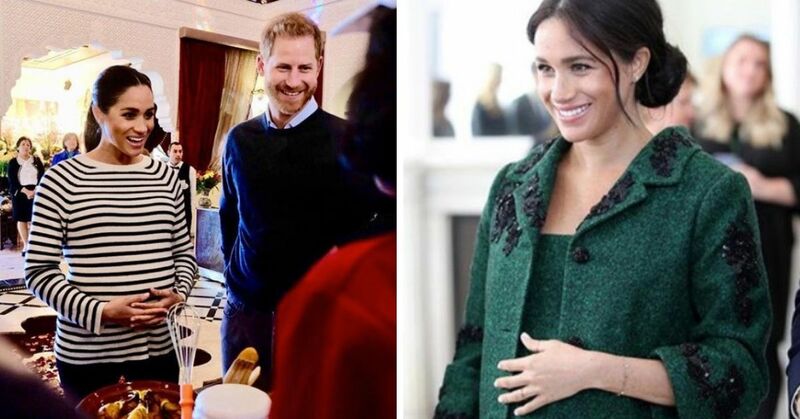 We used a mix of blue and green. 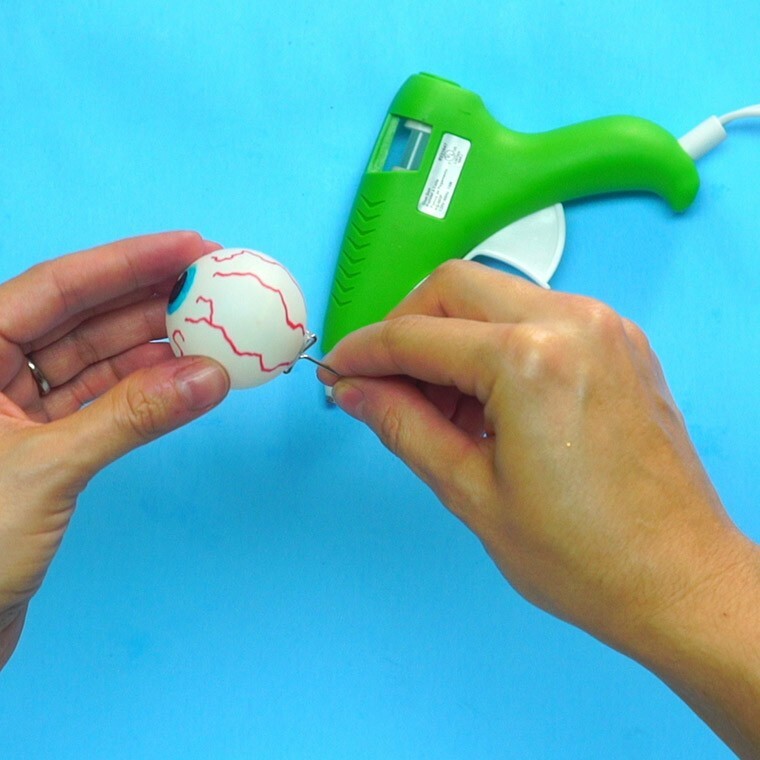 Follow the circle that you already created for the pupil with the colored marker. Do you know someone who would love to make this wreath for Halloween? Make sure to share our instructions with them! Watch our video below that shows you step by step how to make this Googly Eye Wreath so you can spook your neighbors this Halloween.